The USDA's food pyramid suggests that everyone eat three to five servings of vegetables and two to four servings of fruit each day. The USDA states that consuming this recommended amount of fruits and vegetables helps to prevent diseases and protects your body against certain cancers. Eating fruits and vegetables is important for several reasons. Your body needs certain vitamins in order to support life and prevent disease. 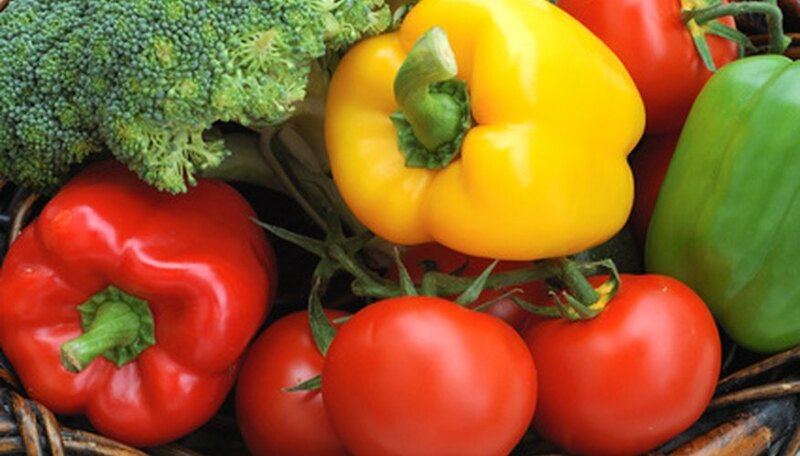 Fresh fruits and vegetables contain vitamins that are not found in grains, dairy and meat. Vitamin C supports proper organ function and strengthens the immune system. Vitamin A and the B vitamin complex help the body combat inflammation and stress. Minerals such as calcium, potassium, iron and magnesium are found in fruits and vegetables. All of these minerals are important to support human life. Calcium and potassium are needed in order to control heart rate and balance blood pressure. A lack of potassium and calcium causes irregular heartbeat and muscle cramps. Fruits and vegetables are fibrous. Fiber, sometimes called roughage, is not broken down in the digestive tract and acts as a healthy scrub brush, cleaning out the intestines. When cells use oxygen, they create free radicals that attack organs and blood vessels. Antioxidants are compounds that help to slow down or stop the negative oxidative process in the body. Antioxidants are compounds found in fruits and vegetables. These compounds attack free radicals, protecting the body and organs. Vitamin supplements contain the vitamins and minerals suggested by the FDA. However, there is a difference between supplements and fresh food. Fresh fruits and vegetables provide more health benefits than supplements. Supplements do not provide the same fibrous texture. Fruits and vegetables are natural, whereas supplements may contain overly processed or synthetic vitamins and minerals. Vitamins and minerals in supplement form are not as bio-available to the body as fruits and vegetables are.